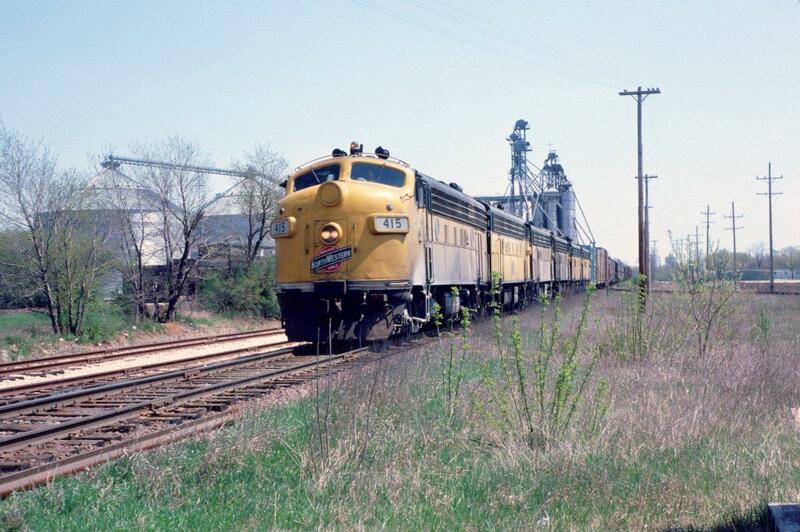 CNW 415 West in Belvidere, IL from May of 1980. During this time the commuter F7As were used on weekend freight service to Belvidere. 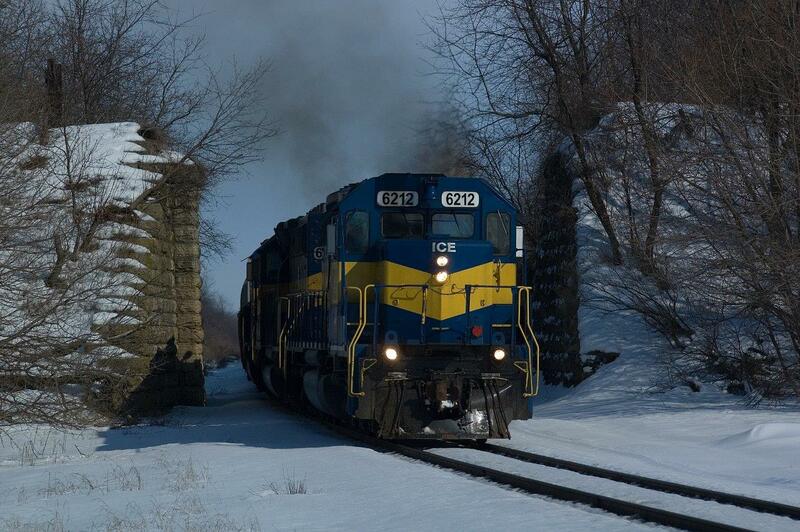 IC&E 6212 West splits the old Illinois Central “Gruber Line” bridge abutments near Forreston, IL from March of 2008. 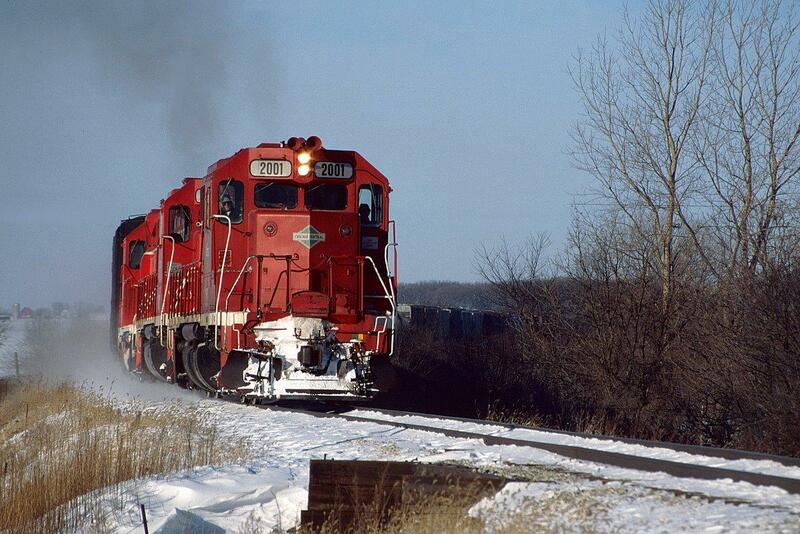 CCP 2001 East nears Burlington, IL from 1997 behind a trio of red GP38s.